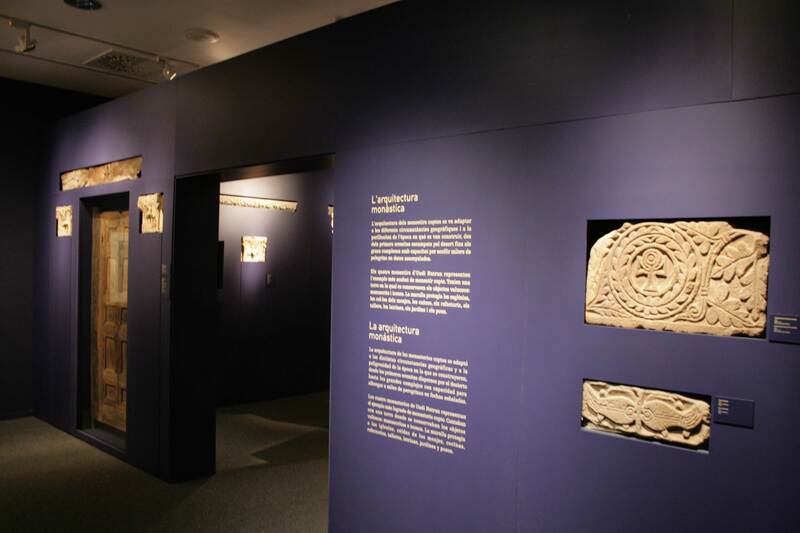 This exhibition shows the Coptic culture from the 2nd until 10th century under the consecutive influences of roman, byzantine and islamic civilization. 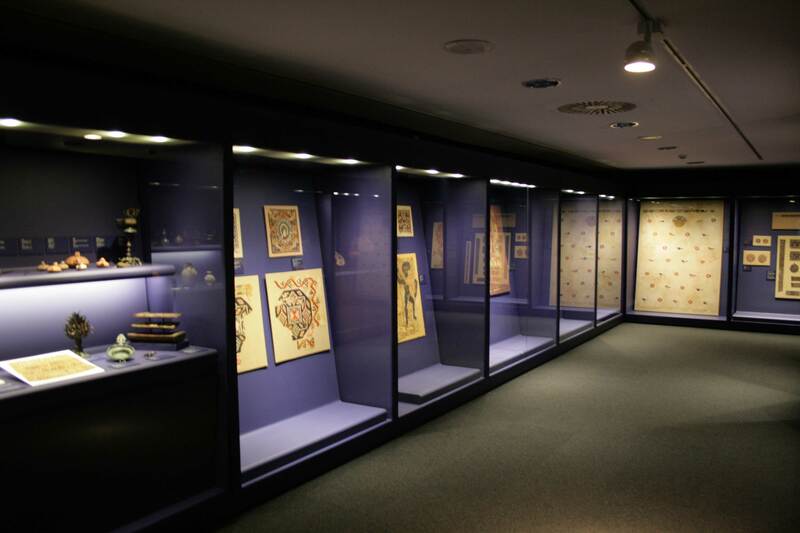 In the three parts of the exhibition, "Coptic language and writing", "Everyday Life" and "Spiritual Life" a lot of objects are shown, from handwritten papyrus and ostracon, big size tapestries with mythological topics until exceptional pieces of ecclesiastical architecture like splendid capitals and frosos. 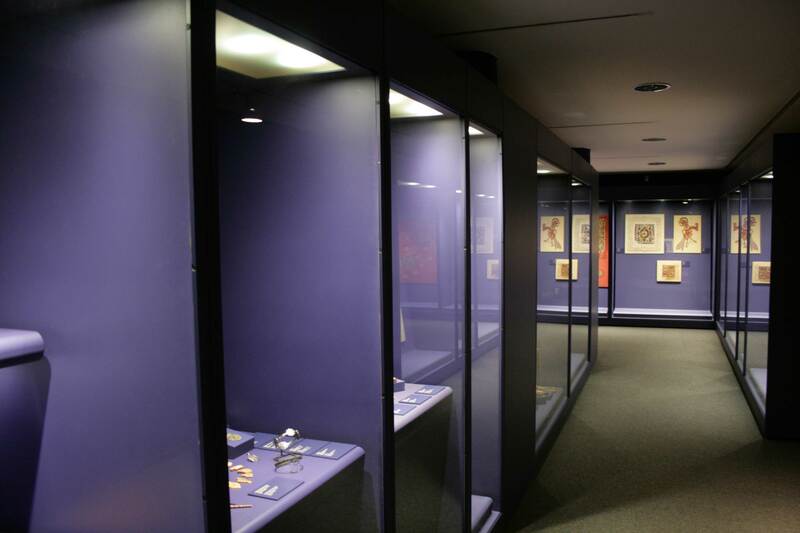 umd/c did the whole museographic concept starting with vitrines and displays, using a dark blue color field as "passe-partout" o isolate visually the front part of the stones. 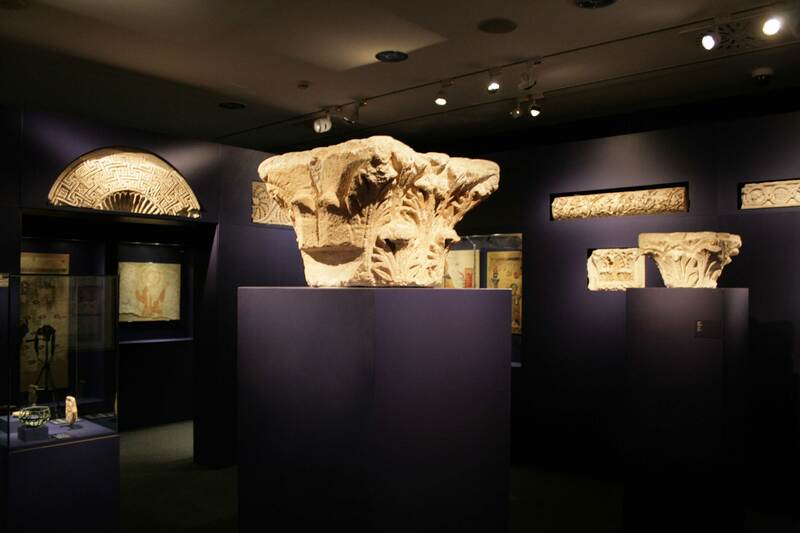 En esta exposición se muestra la cultura copta desde el siglo II hasta el siglo X d. C. bajo las influencias romanas, bizantinas e islámicas. 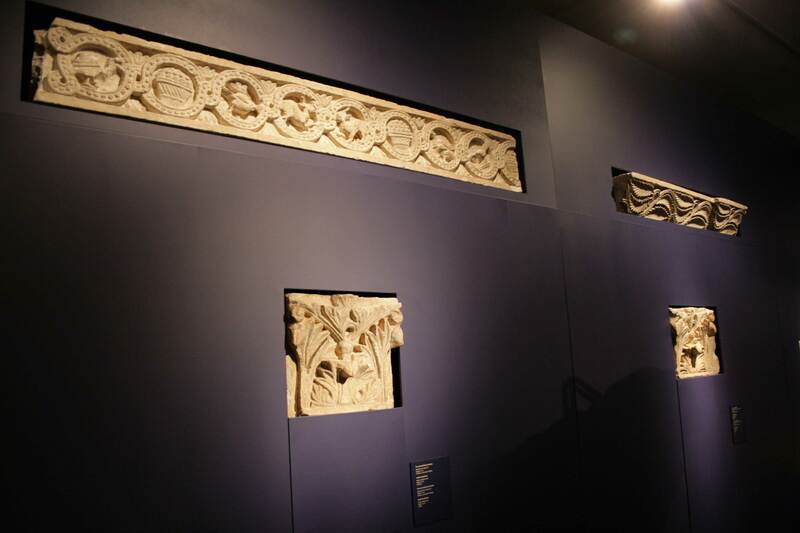 En tres ámbitos "lengua y escritura copta", "vida cotidiana" y "vida religiosa" se muestran por ejemplo ostracones y papiros con escrituras, tejidos de gran tamaño con decoraciones mitológicas hasta excepcionales fragmentos de sus arquitecturas monásticas en forma de frisos y capiteles. umd/c se encargó del diseño de vitrinas adaptados, se usó el color azul oscuro para destacar los frentes de las piedras en modo de "passe partout" . 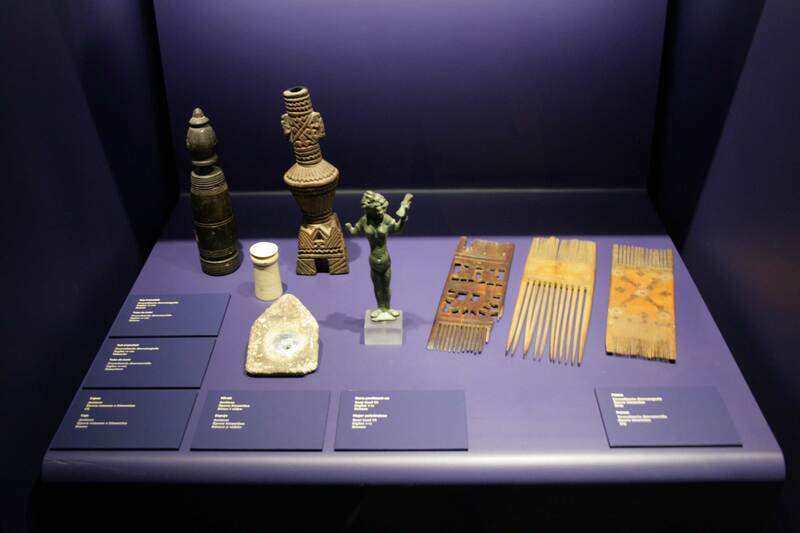 Diese Ausstellung zeigt die Kultur der Kopten zwischen 2. und 10. Jahrhundert unter dem Einfluss der römischen, byzantinischen und islamischen Zivilisationen. Die drei Hauptbereiche "Koptische Schrift und Sprache", " Alltagsleben" und "Religiöses Leben" zeigen eine große Anzahl von Objekten, von handschriftlichen Papirusblättern und Schriftsteinen bis zu Fragmenten klösterlicher Baukunst in Form von Kapitellen und Friese. umd/c entwickelte adaptierte Vitrinen, Podeste, Grafik bis hin zu den tief blauen "Passe-partout"- Umrahmungen der Steinskulpturen.